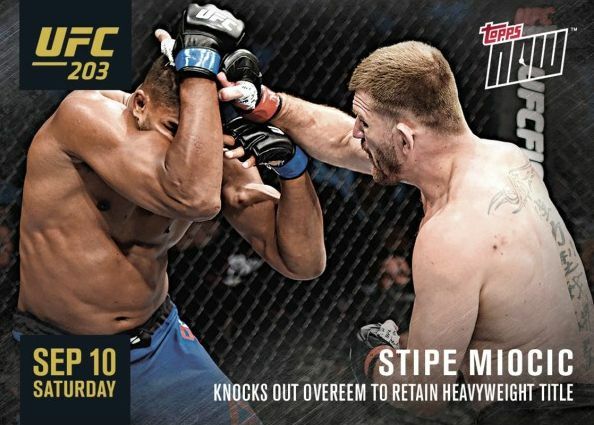 Building on their print-to-order sports options like Topps Now Baseball, 2016 Topps Now UFC brings the real-time card format to the octagon with timely cards that relate to recent happenings in mixed martial arts. The cards are only issued through the Topps Online Store. 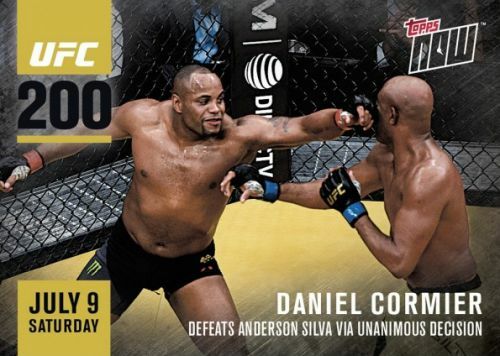 Kicking off with UFC 200, which includes bouts like Meisha Tate vs. Amanda Nunes and Daniel Cormier vs. Anderson Silva on July 9, collectors can expect regular 2016 Topps Now UFC releases that are only sold in short windows before they are removed from production. 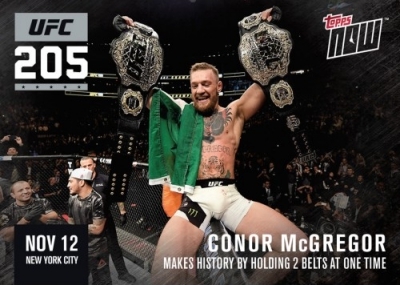 The first cards for 2016 Topps Now UFC will be available on July 6 for pre-sale. The Topps pricing trend continues with individual cards and shipping priced for $9.99 per card and a discount for multi-card bundle purchases. 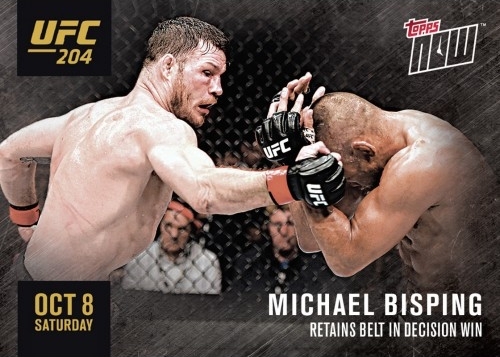 This, of course, adds to the regular lineup of traditional Topps UFC products that see consistent release. 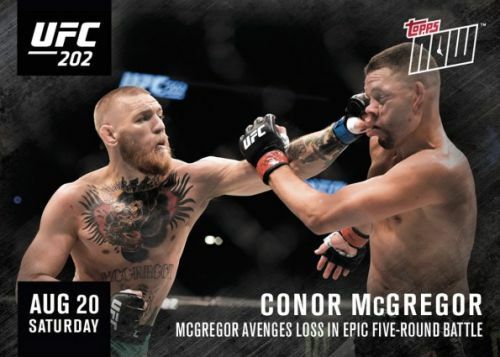 Topps also recently added a digital app for UFC, further increasing their online presence for the rapidly growing sport. 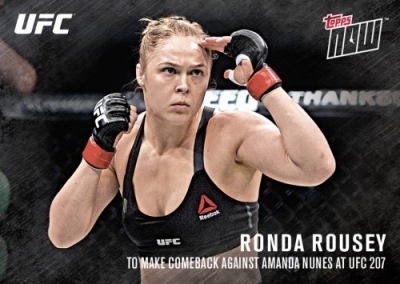 Check back as more details are added for 2016 Topps Now UFC. This guide will be regularly updated with new cards and print runs for previous releases. 2016 Topps UFC NOW CONOR MCGREGOR Limited SSP!!! Event date covered by each card is noted. Print runs (PR) will be added when known. 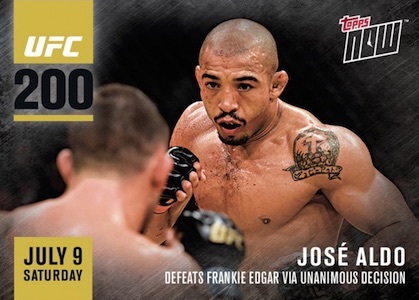 Shop for available Now UFC cards on Topps. Click on the links below to shop for previous Topps Now Cards on eBay. 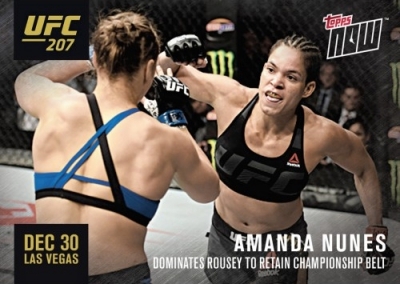 UFC 207: 12/30/2016 - Shop for cards on Topps. 2016 Topps Hobby UFC Knockouts Brand New In Sealed Box!